The Sawndip or Old Zhuang script is one of a number of ancestral scripts, probably more than a thousand years old, that survive in China — and the fact that it still exists and is used by a minority is a sign of the degree to which China, no matter how much it presents a unified front to outsiders, is actually a fascinating mix of cultures and traditions. The Zhuang are an ethnic group who mostly live in the Guangxi Zhuang Autonomous Region in southern China. 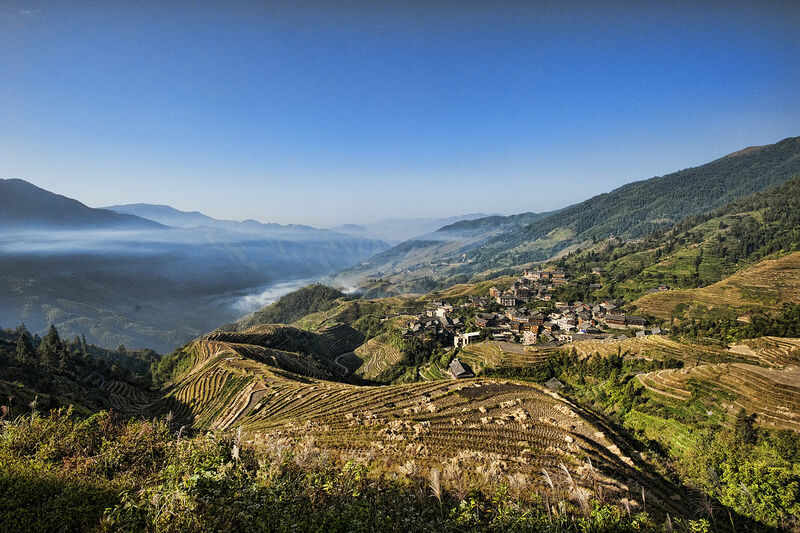 (Some also live in the Yunnan, Guangdong, Guizhou and Hunan provinces.) 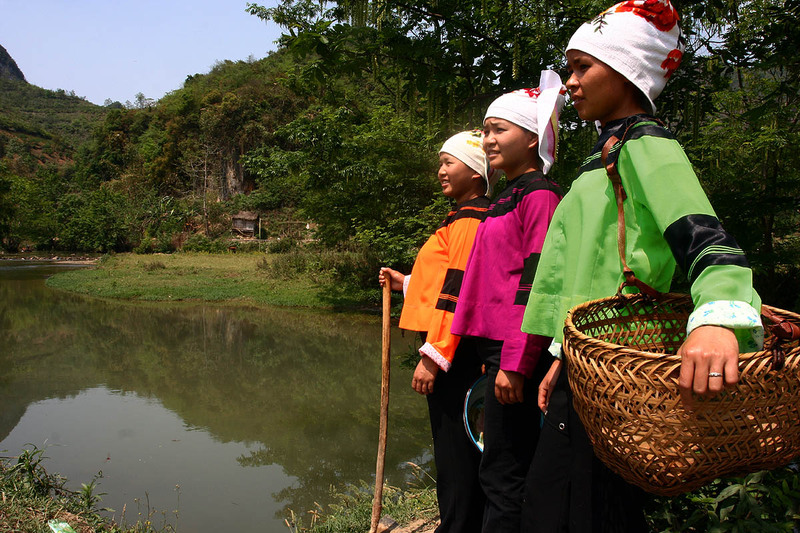 They form one of the 56 ethnic groups officially recognized by the People’s Republic of China. 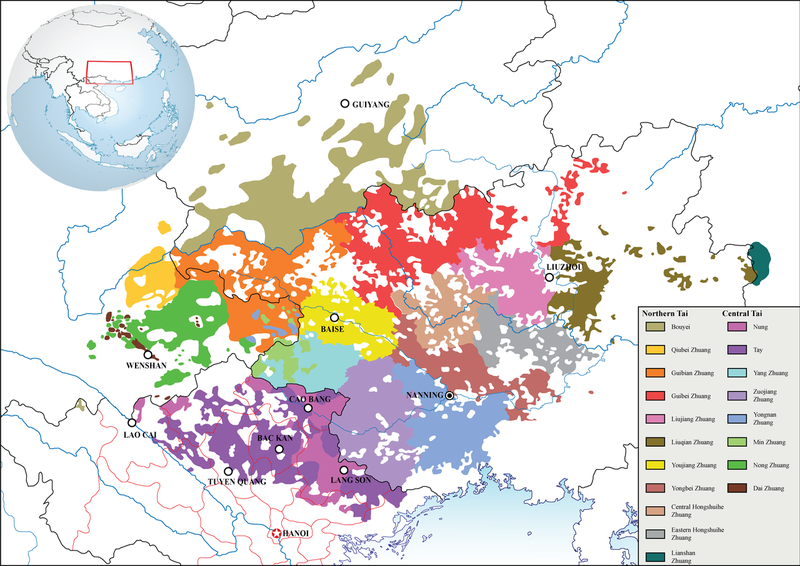 Their population, estimated at 18 million people, makes them the largest minority in China. Zhuang is one of the array of northern Tai languages, and Sawndip is the Zhuang name for their own script — even though, curiously, it means “immature characters.” The script is not only used by the Zhuang but also by the closely related Bouyei in Guizhou, China, and Tay in Vietnam and Nung, in Yunnan, China and Vietnam. One theory holds that Sawndip was first used over one thousand years ago; another, comparing Sawndip with the similar but different neighbouring Chữ nôm script of Vietnam, suggested that the script started being used at about the same time as Chữ nôm — in the 12th century. Sawndip is made up of a combination of Chinese characters, Chinese-like characters, and other symbols. 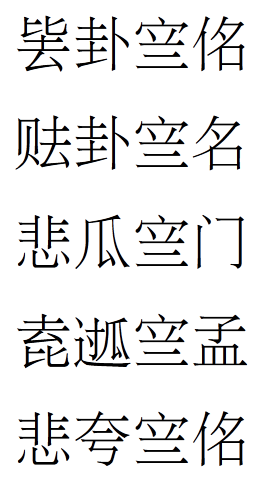 Like Chinese it can be written horizontally from left to right, or vertically from right to left. The script has never been standardized; some characters have as many as a dozen variants. 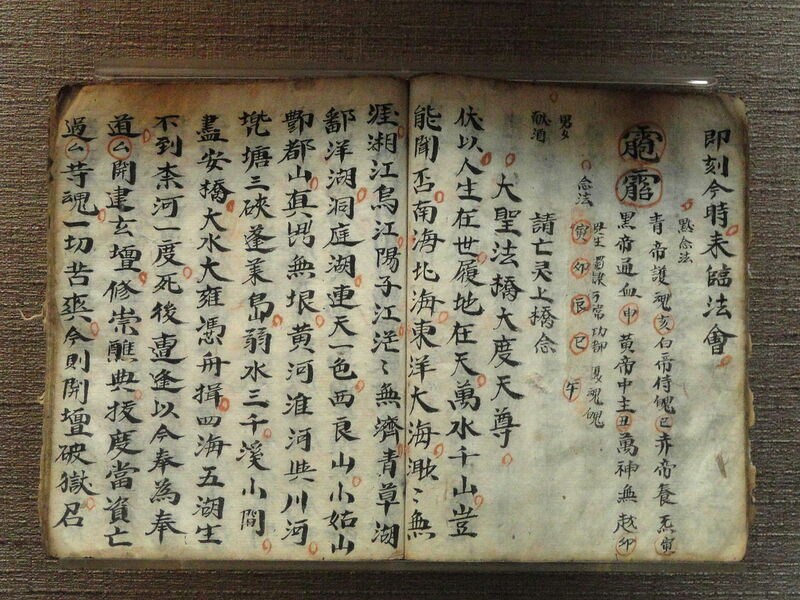 The script has been used for centuries, mainly by Zhuang singers and shamans, to record poems, scriptures, folktales, myths, songs, play scripts, medical prescriptions, family genealogies and contracts. Traditional songs, or stories, are often adapted over time, and new works continue to be written to this day. 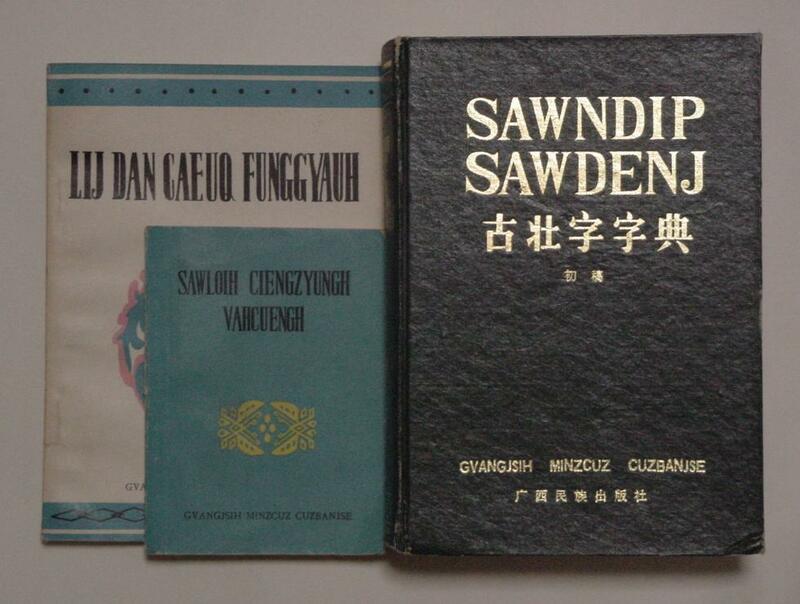 After the Chinese Revolution in 1949, even communist revolutionary propaganda was written using Sawndip. In 1957 the Chinese government introduced an official, alphabet-based script, and that became the standard for official documents, laws, and newspapers, but it was largely ignored by the Zhuang themselves: a recent survey found that a third of the Zuang said they understood Sawndip, and about one in ten use it under most circumstances. After five years in preparation, a Dictionary of Ancient Zhuang Characters was published in 1989 with 4,900 entries and over 10,000 characters — the first and only dictionary of Zhuang characters published to date.